The Yogyakarta Palace/Sultan Palace was built in 1756 - 1790 by Sultan Hamengkubuwono 1. Its architecture is an example of javanese cosmos style and reflects javanese culture. 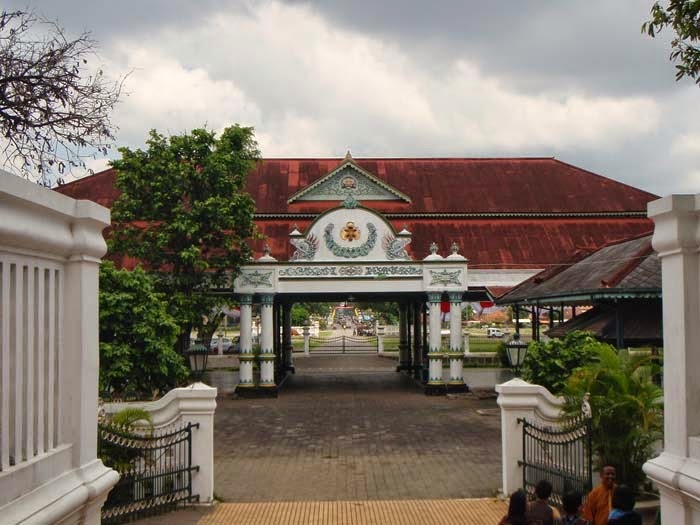 The palace is still used as the residence of the King or Sultan and also as a Javanese artistic and cultural center. This Palace, opening haours are Monday - Sunday (08:00 am - 02:00 pm), and closes at 12:00 pm on Friday. Source: Yogyakarta Provincial Tourism Authority. 0 Response to "Tempat Wisata Jogja Tourist: Yogyakarta Palace"